Constant thriving for innovation and steady growth; is something that Sony is all about. Through all this years; Sony has attained a name of trust, that has emerged into being a bond with its customers. While innovation is the name for Sony, explosive innovations is name for Sony Mobiles. Smartphone industry blows and grows on a rapid pace. Innovation to smartphones, happen in a blink of an eye. And through this speed of growth, many national and international mobile companies observe the wave of rise & downfall. Amidst this wave, Sony mobiles have stood steadfast to their pledge of thriving innovation. Camera, Battery, Operating System, Design, Look, Applications, 4G mobile – name it, and Sony mobile would serve you with the best. Sony mobile phones have the tendency of innovating the innovation, through every aspect. The sleek design of Sony mobile phone, matches up with your vogue personality and enhances your style-quotient. And all the photographers, who pick Sony camera for premium picture quality; opt for Sony mobile when it comes to clicking pictures on the go. Sony mobiles have introduced the smartphones to the revolutionary feature of 4K quality pictures and videos. Music is again the feature that has earmarked the supremacy of Sony mobile phone, among the array of smartphones. And how could we blow away the fact; that the radical technology of water and dust-proof phones was introduced by Sony mobiles. Online shopping portal, such as Infibeam, could never perform a sin of not introducing such master piece array of Sony mobiles with price that's startling! Sony Mobile's Online Store on Infibeam! Each day and every night, the smartphone industry goes gaga over the technology that Sony mobile phones have delivered. While the features and technology of the Sony mobiles are touching the peaks and expanding; the body is getting slimmer and sexier. Just as us – the customers, seek! The design is built in a manner, that catches eye in an instant. Stands out in a crowd. And performs faster than ever before! Not just features, but have a glance to the Sony mobile price list and that's even more astonishing (pleasantly!). All this bundled up, have pushed Sony mobile India a hit. And bling it with the mobile accessories and voila! You can ask nothing more than this. 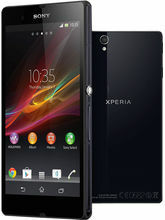 Infibeam's bag is full of such Sony mobile phones with prices that are pleasing in all ways. Waiting, eagerly to find a place in your carts, and than your hands. Letting you to explore the world of 4G and 3G mobiles, with a new perspective altogether! Alteration seems to be in the mood of changing the shopping world too. Yes, it's the online shopping; that seems to newly & frequently opted path, this days. Infibeam's online shopping & deal of the day, section is here to savour all the taste-buds of shoppers, that come in all shapes and sizes!